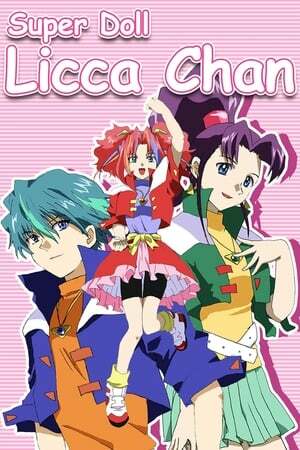 Super Doll★Licca-chan is an anime TV series which ran on TV Tokyo from 1998–1999. Kodansha also serialized a manga based on the anime series in its monthly manga magazine Nakayoshi. The story follows an ordinary elementary school girl named Licca Kayama and the strange circumstances surrounding her origins, as well as the origins of her protector, Doll Licca. The series is an original story spin-off inspired by the long-selling and popular Takara doll lineup "Licca-chan", created by Miyako Maki, designed to expand the regular dress-up doll series into a line of action figures. However, the new figures were only a mild success, and did not remain in production for long. The 52-episode TV series aired in Japan from 6 October 1998 through 28 September 1999. Since its release in Japan it has been translated into multiple languages, including Chinese, Italian, Portuguese, Tagalog and Malay, and has been broadcast internationally on various stations, including Taiwan's CTS and Hong Kong's ATV and TVB, Cartoon Network's Latin America and Brazilian services, and Italy's RaiDue. 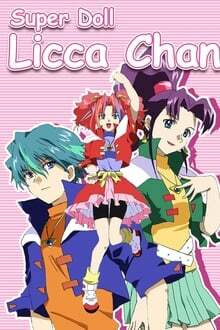 Season 1 of Super Doll Licca-chan premiered on October 6, 1998. We don't have any reviews for Super Doll Licca-chan. We don't have enough data to suggest any TV shows based on Super Doll Licca-chan. You can help by rating TV shows you've seen.